Few days back only Google revealed its newest Android version i.e Android Marshmallow . Android Marshmallow comes with variety of features , Black and White theme and extremely Good battery life . Google Also release Android Marshmallow for Motorola Nexus 6 , LG Nexus 5 ,HTC Nexus 9 and Asus Nexus Player . Users of the above devices can directly Install the previews , without any effort . Although The official Marshmallow images are available for limited devices , Hence developers know how to port and get the Android Marshmallow on their device . So , Finally Developer ported the Android Marshmallow for LG Nexus 4 and You can install it right now by following the steps below . All Thanks to vocoderism and Dmitry Grinberg for making Marshmallow possible on Nexus 4 . Step 1. 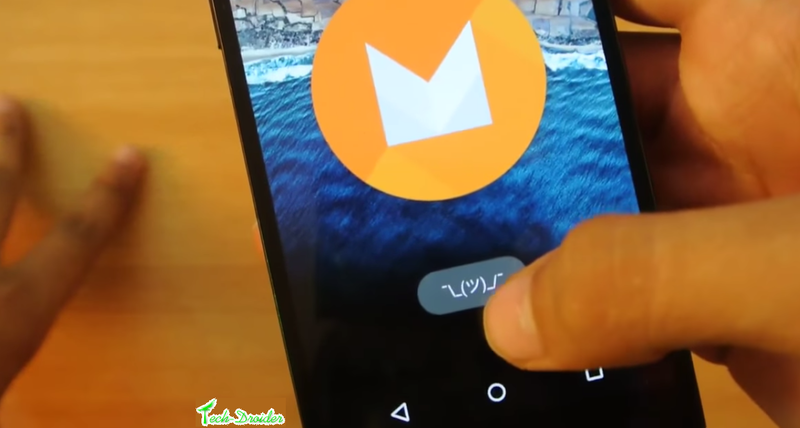 Download the Android Marshmallow Rom from below . Step 2. Save it in your root of Sdcard . Step 3. 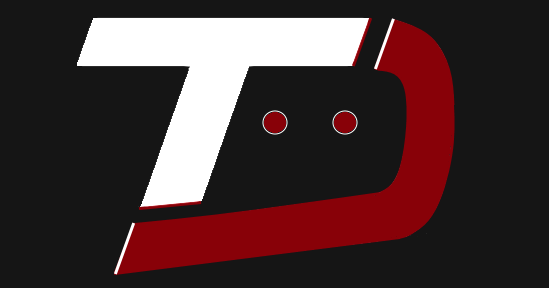 Boot to recovery mode ( Custom recovery - TWRP 2.8.7.0 [ Download From below ] . Step 4. Wipe data , Wipe cache and Wipe dalvik cache . Step 5. Select Install Zip from Sdcard and Choose Android Marshmallow rom ( which you downloaded by following step 1 ) . Google has revealed Android 6.0 Marshmallow with new fixes and new features . 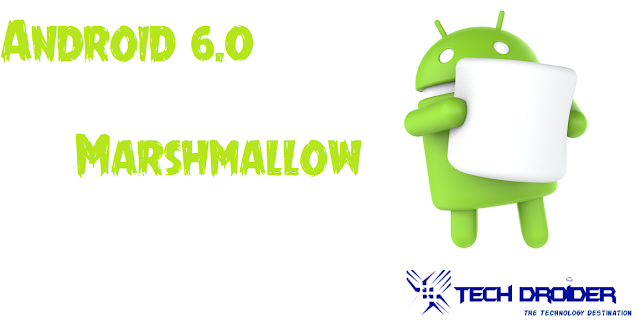 Android 6.0 Marshmallow will officially start rolling out to Nexus Devices on 5th of October , Read full news - Here . 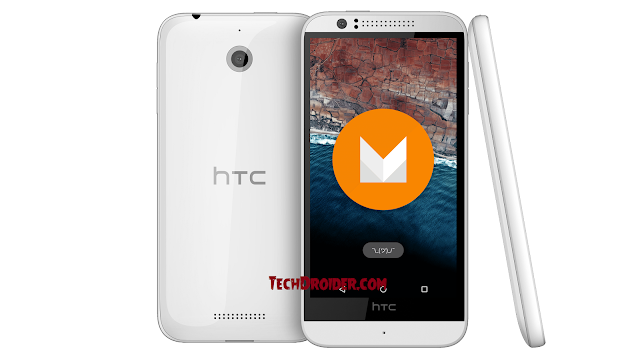 LlabTooFeR has Confirmed the List of HTC devices that will get Android 6.0 Marshmallow . These Devices will get Update of Android 6.0 along with new Sense 7 . Devices with low internal memory like Desire 816 may not receive the Android Marshmallow update . Also , Its not the final list . The List of devices can change according to HTC . So , Finally Official Roll out of Android 6.0 Marshmallow will begin on October 5 2015 according to Telus ( Canadian carrier ) . Nexus 6 and Nexus 5 will be the first device to receive Android 6.0 Marshmallow officially . Also , Nexus 5X and Nexus 6p is going to be announced on 29th of September . Both the device will be coming with Android 6.0 Marshmallow out of the box .
" What’s M gonna be? " New Android M Video Ask You ! Google is soon Going to release the last and final preview of Android M . Android M is the new Android 5.2 version which comes with Major Bug fixes and new interface over Android Lollipop . So , what will be the final name of Android M ? 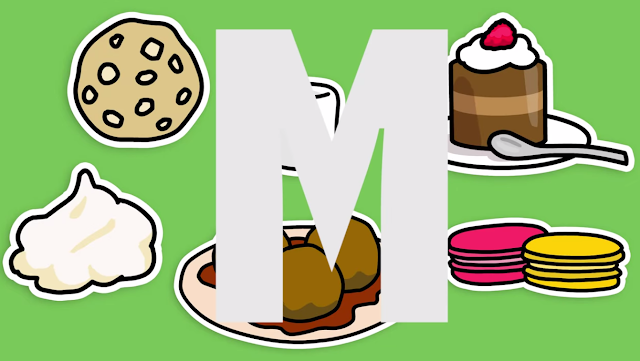 The new Video about Android M shows some possiblities that Android M will be either - Marshamallow, Milkshake, Moon Pie , Muffin or Mango . For now we can only Guess , Desserts name starting with M .
Android M was released recently by Google , It comes with a major fixes and new changes over Android 5.0 Lollipop . Google also released Android M images ( firmware's ) for Few Nexus Devices . Other companies will start developing Android M for their devices after Google releases the last Android M developer preview . And finally its available to download for OnePlus One . Thanks to Aaahh for porting this firmware to OnePlus One . Note - This Rom is not for daily purposes , it includes tons of bugs and can't be used daily . Also we are not responsible for any damage caused to your Smartphone . Step 2. Download the Android M firmware for OnePlus One . Step 3. Boot your Smartphone to fastboot mode and connect USB cable to your PC . Few months back Google revealed the new Android version i.e Android M . Although the name is not revealed yet , but Android M comes with many new features and major bug fixes over Android 5.0 Lollipop . 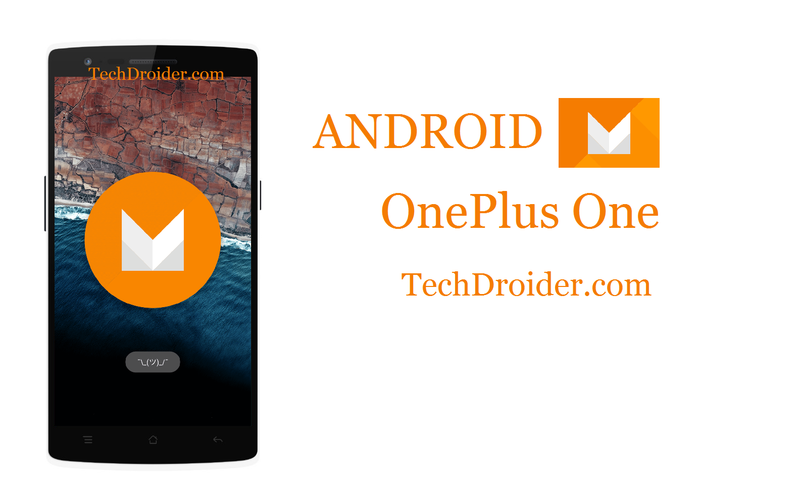 Finally , OnePlus One users can taste Android M on their devices soon ! Aaahh ( Oneplus developer ) has finally ported Android M on OnePlus One and it will be available soon for Download . Also , Google few days back only released second developer preview on Android M . When Google will release the third and final preview , only then it will be official available to Other companies Smartphone users . It means OnePlus One users got very early access to Test and use Android M , Thanks to the user " aaahh " ! For Porting it ! Few weeks back Google revealed Next Android Version , that is Android M . Android M is currently available as developer preview only . It will be officially rolled out in November 2015 . 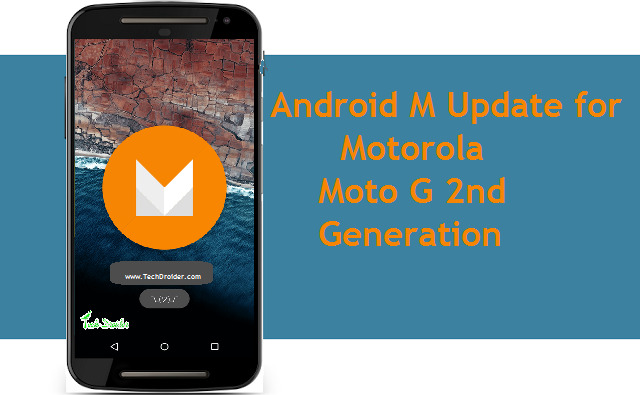 Motorola Devices will be first after Nexus series to get official Roll out of Android M .
Today only a Moto G 2nd Generation user got confirmed that Moto G 2nd Generation is official eligible to get Android M and will get Android M after the official sources are available . 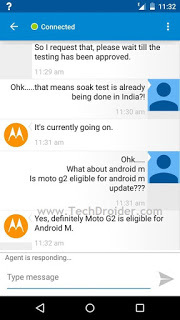 Moto G 2nd Generation was already confirmed to get Android M and even got further confirmation by Motorola Agent . Further Motorola Moto G ( 1st Generation ) might not get Android M .
Recently Google revealed Android M , that brings many new features to Android version . Android M is readily available for Nexus Devices like Motorola Nexus 6 , LG Nexus 5 ,HTC Nexus 9 and Asus Nexus Player . Users of the above devices can directly Install the previews , without any effort . Nexus 4 was announced in 2012 , but google is still providing it updates . Previous year Nexus 4 got official Android Lollipop and this time also Google is working on Android M for Nexus 4 . 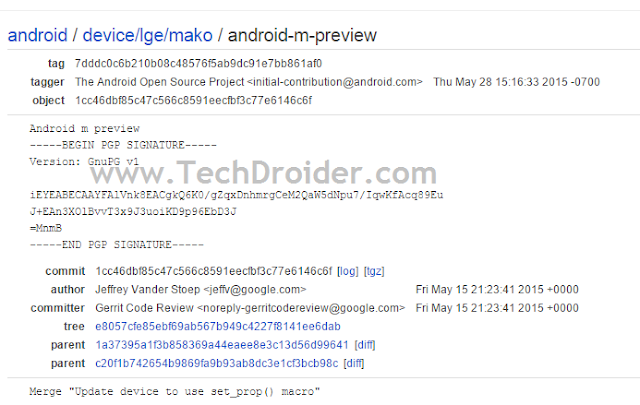 Nexus 4 has code name Mako and Google is working on Android M developer preview for Mako . Android M developer preview will be available for Nexus 4 in few days ! The problem is with kernel , Hence Google will fix it soon and official developer preview images will be available in few days . Recently Google revealed new Android M with many features and one of the feature include : External memory can be used and Internal memory . This feature will be of great use for the Devices which comes with Low internal memory . 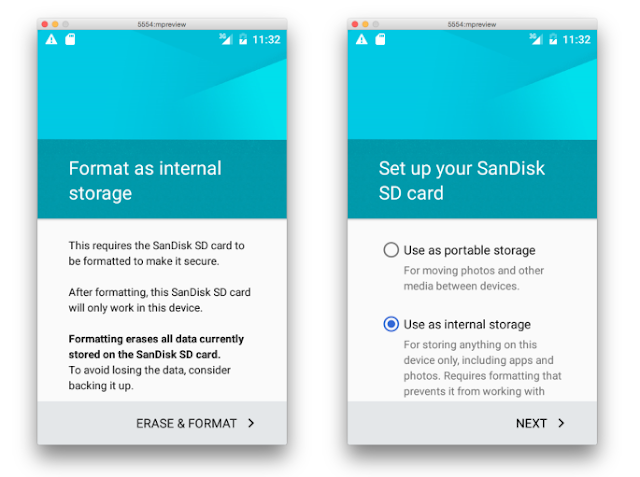 If your device will be up gradable to Android M then your Storage Running out problem will be solved by just interesting an external Sdcard . By this feature your External memory will act as Internal and vice versa . Every app data will be saved at External memory . This is a great feature , the thing required is Android M on your device . In 2013 Motorola launched Moto G 1st Generation a mid ranged Smartphone and while in 2014 May , it launched the low end Smartphone i.e Moto E 1st Generation . Both of the smartphones was most sold Smartphones at that time , also both the smartphones features great specification the this price range . Motorola Moto G and Moto E comes with Android 4.4.4 Kitkat and Motorola has also updated the Smartphones to Android 5.0 Lollipop and even 5.1 is now rolling out for Motorola Devices including Moto G and Moto E 1st Generation . But these 1st Generation Motorola Devices may not get the Android M update officially by Motorola . Note - This is not the official statement by Company . Company can give Android M update . This is an assumption and we have reasons for that ! Else everything depends upon Company's offical Statement ! Why Moto G 1st Generation will not get Android M update ? Moto G 1st Generation being launched at 2013 November and Today is 2015 and its being more than 19 months for the device receiving Motorola Official Android updates and According Google Policy , The smartphone will not get official update after 18 months . 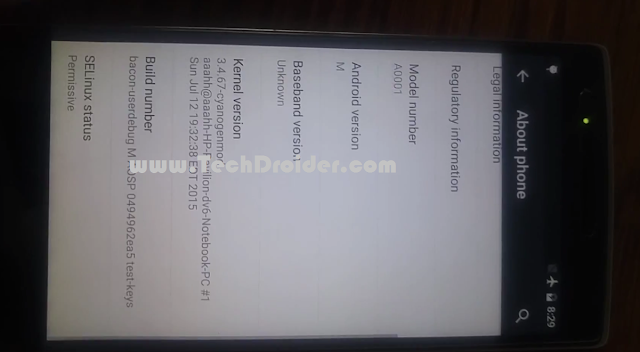 Why Moto E 1st Generation will not get Android M update ? Moto E 1st Generation which was launched in May 2014 and its being 1 year that Motorola is updating the device . Also Google has now released Android M developer preview and will launch official Android M update from November and so on Motorola will start giving updates to Motorola devices after 2016 and you still assume that Moto E 1st Generation will get Android M update ? Also Moto E 1st Generation features are not so amazing that they will handle Android M , It will boot with Android M but still it will be having some bugs and battery issue . Google Recently Announced Android M and its readily available for Nexus 5 users . Nexus 5 users can update their Smartphone's with Android M developer preview images . As Android 5.0 Lollipop was very hard to root , but somehow many of the developers found a way to root Devices running on Android 5.0 Lollipop . But with the upgrading version of Android , its getting harder to Root the devices on latest Android . But , This time also Android M developer preview is root able and Here is how you can root your Nexus 5 running on Android M developer preview . Note - We are not responsible for any damage caused to your smartphone , do all steps with care . Step 1. Download Superuser and Despair kernel from below . Step 3. Flash the kernel ( Despair kernel ) which you downloaded following step 1. Step 4. Now again Flash the Superuser zip file which you downloaded following step 1. Step 5. Reboot your Nexus 5 . Few days back only Google revealed its newest Android version i.e Android M . Android M comes with variety of features , Black and White theme and extremely Good battery life . Google Also release Android M Developer preview images for Motorola Nexus 6 , LG Nexus 5 ,HTC Nexus 9 and Asus Nexus Player . Users of the above devices can directly Install the previews , without any effort . Although The official developer preview images are available for limited devices , Hence developers know how to port and get the Android M developer preview on their device . So , Finally Developer ported the Android M developer preview for Nexus 7 2012 and You can install it right now by following the steps below . There are few bugs in the rom , so Install with care . Note - We are not responsible for any damage caused to your Tablet . This Rom is for Nexus 7 2012 only . Step 1. Download MultiRom from below . Step 2. Download the Android M dev preview Rom from below . Step 3. Install MultiRom on your Nexus 7 . Step 4. Boot to MultiRom recovery mode . Step 6. 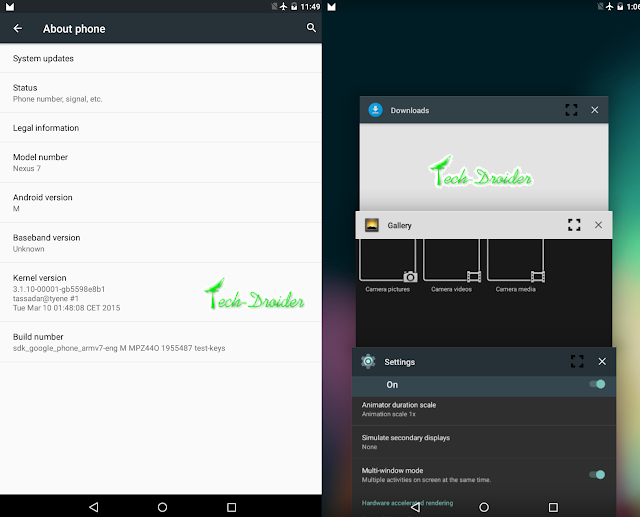 Choose Android M dev preview rom ( which you downloaded by following step 2 ) . Share your Comments , If you find any problem regarding Installing the rom , Share your problem at - xda Thread . Recently Google revealed new Android version i.e Android M . Android M comes with variety of features , Black and White theme and extremely Good battery life . 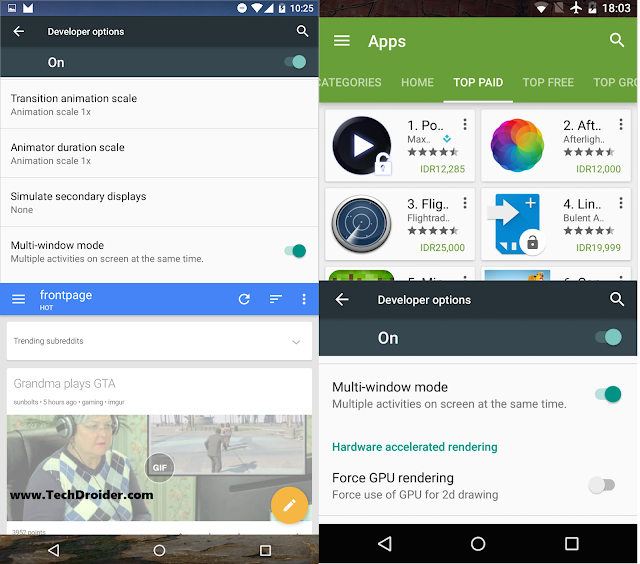 But , There is a hidden feature of Android M that is Multi-Window support . Yes Android M can support Multi-window , A user can work on two apps simultaneously using Multi-window feature . Multi-window mode is not accessible normally , But to access Multi-window feature , follow this Guide by Xda developer Quinny899 . Currently Android M dev preview is available for only Nexus 6 , Nexus 5 , Nexus 9 and Nexus Player , So you can enable multi-window feature on these devices . Today only Google released new Android M , with awesome features and new apps , new boot animation , new amazing launcher with search support . 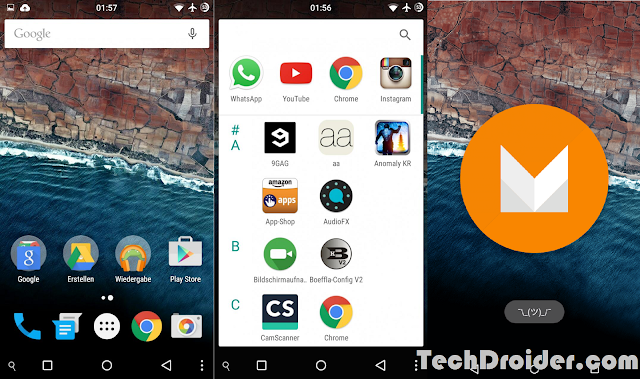 Android M launcher can be installed on Any Android device running on Android 4.4.4 Kitkat . Step 1. Download Google now launcher from below . Step 2. Download New M velvet from below . Step 3. Install it as normal apk . Enjoy Android M launcher . 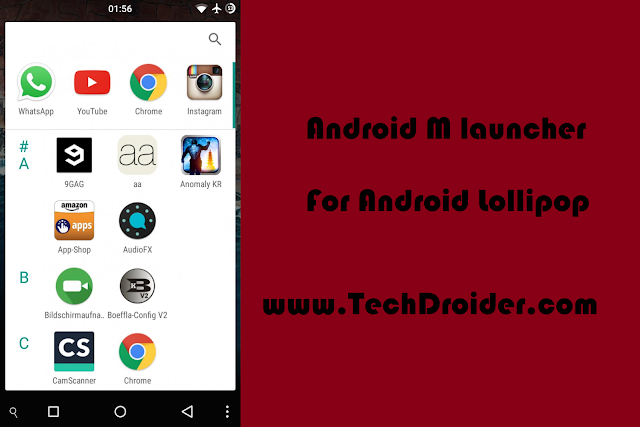 Android M launcher can be installed on Any Android device running on Android 5.0 Lollipop . As there is a news that Google is going to Announce Android M , this week . 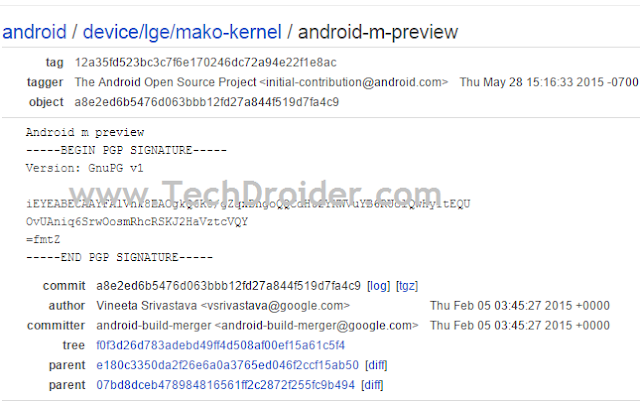 Yup Its too early , But Android 5.0 - 5.1 Lollipop has too many bugs that Google has to release Android M . Google is all planned to Release Android M this month in Google I/O 2015 . The Android M can be Android 5.3 or New Android 6.0 . Also See the new Concept of Android M - Muffin . 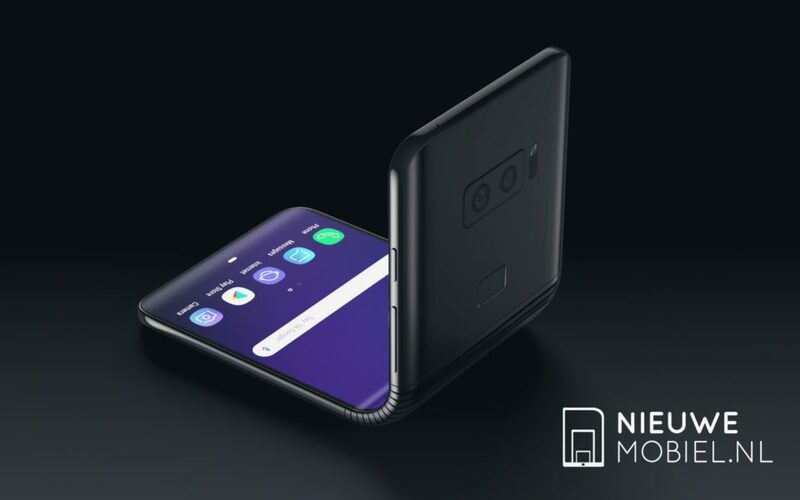 According to Concept it will include Multi window and Many more features . Although it depends on Google ! Although earlier Samsung Said that they will not give Lollipop update to Samsung Devices with 1.5 GB RAM , Read full news - Here . Its still not confirmed that the Samsung Galaxy S4 mini , Samsung Galaxy Note 3 , Samsung Galaxy A series , Samsung Galaxy Grand Series will get update ! Share your Comments , What about you think about the update ! As Google I/O 2015 is coming near we are getting many updates by Blogs and Websites that what will be launching at Google I/o 2015 which is scheduled at 28 may - 29 may 2015 . Accordingly Android M and some new Android Wear are going to be launched at Google I/O 2015 . Google is confirmed to unveil successor of Android 5.0 Lollipop at Google i/o 2015 . 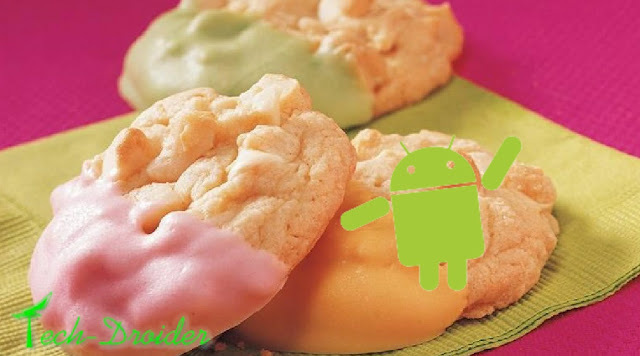 And All the sources say that the successor will be Android M ( Macadamia Nut Cookie ( most probably ) ) . Android Police yesterday only posted that Android M will be called Macadamia Nut Cookie . Lets see what happens at Google i/o 2015 . Update - Motorola Officially Announces the list of Devices that will get Marshmallow . So Google has finally announced Android M 6.0 i.e Android Marshmallow . Its the most enhanced and advance Android version after Android Lollipop . Motorola devices always get first Android Updates after Nexus Smartphones . Motorola Moto Phones will obviously get Android Marshmallow , but the question is which Motorola Smartphones will get it ? Its still not confirmed that the 1st Generation Motorola Devices like Moto E and Moto G will get update or not !